> Grover Norquist - A Troubling Influence? Long time since I've been at the blog (Facebook keeps me busy). I've got a lot to catch you all up on in wonderful (yet economically challenged) Latvia, but felt compelled to write about this morning's event since so many here are fiscal conservatives at Right Nation. Republicans Abroad hosted a conference call today at noon (EET) with Grover Norquist, president of Americans for Tax Reform. While I have heard of Mr. Norquist and ATR, I wasn't aware or how involved--or connected--in the conservative community he is. He also worked with Newt Gingrich and the Heritage Foundation on the "Contract with America". That's a lot of cred. Here's an video interview with Charlie Rose that I watched to get some quick idea of how he thinks. Anyway, while googling to read any published recent articles to have as a reference in case he referred to them, some very disturbing information came up. In 1997, Norquist and lawyer David Safavian founded a lobbying firm, the Merritt Group, later renamed Janus-Merritt Strategies (sometimes referred to as "Janus Merritt" or simply "Janus"). Over the next five years, the firm's clients included international companies, Indian gaming interests, the government of Pakistan and the government of Gabon, and the American Muslim Council and Abdurahman Alamoudi, a fierce supporter of Hamas and Hezbollah.On July 30, 2004 Abdurahman Alamoudi, pled guilty to three charges of illegal dealings with Libya, after admitting that he participated in a plot to murder Saudi Crown Prince Abdullah for Muammar al-Gaddafi and accepting hundreds of thousands of dollars from top Libyan officials, in addition to tax and immigration violations. He was sentenced to 23 years in jail. Senate disclosure reports on file show that for years Janus-Merritt registered as a lobbyist for Alamoudi. In 2002, Janus-Merritt was sold to the firm Williams Mullen. Norquist has refused to release tax records of the firm for the period during which he and Safavian owned the company. 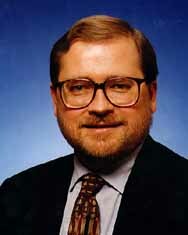 When asked by Washington, D.C.-based journalist Dave Sperry if he had converted to his wife's faith, Norquist brushed the question off as "too personal"
^ Glazov, Jamie (April 12, 2005). "Infiltration". FrontPage Magazine. David Horowitz. http://www.frontpagemag.com/Articles/Read....3-920D68945F3D}. Retrieved 2009-02-28. "GOP operative Grover Norquist [is] an agent of influence for Islamists...He's marrying a Muslim, and when I asked Norquist if he himself has converted to Islam, he brushed the question off as too "personal."" A Troubling Influence By: Frank J Gaffney Jr.
Looks like there's plenty to question about Grover Norquist. I kick myself for not sitting down sooner to look up this guy to have a good question ready, but just didn't have time to ask anything with any depth that would require an answer--rather than an outright dismissal-- without embarrassing the host from RA Singapore. I will keep that in mind. Personally I cannot understand why any free man would ever convert to Islam, and why any sane woman would. contact with him to tax issues, and ignore the rest. This is not good. I had only heard the good, never the bad. I had never heard of him before--good or bad. Thanks for your vigilance, Renwaa.